Discussion in 'Disneyland (California)' started by Winnowill, Nov 7, 2018. I've had Disneyland calendars for the last several years, and I love them - a little daily reminder of my happy place when I can't be there. 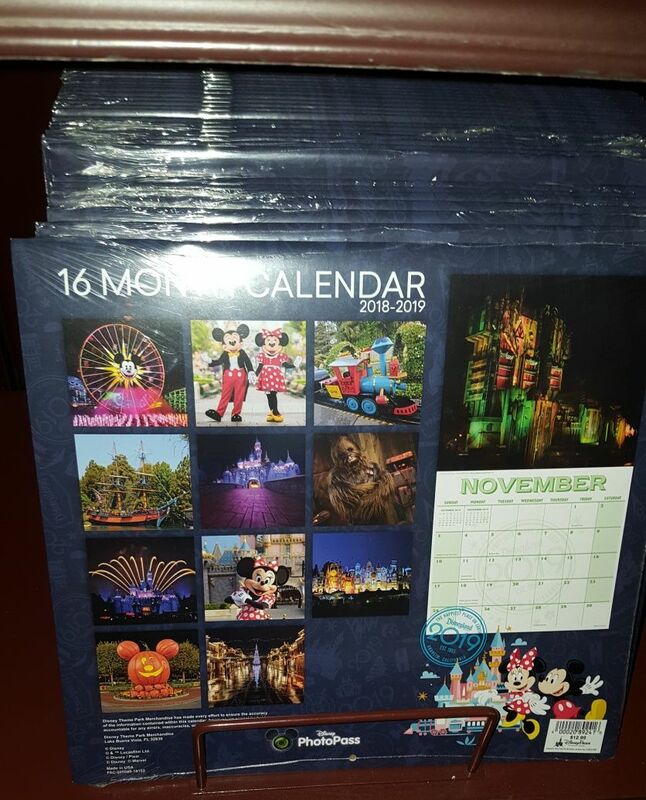 Since I don't anticipate getting to the parks any time soon, I went to order online (as I did last year), but they only seem to have WDW calendars. I tried both shopDisney and the Shop Parks app, but no Disneyland calendars. Has anyone seen one at WoD or any of the other shops? I saw this one at the Emporium tonight. I bought the one shown above as well as the one that is attractions posters last month at the gift shop in the PPH. The attractions posters one has posters from different parks, not just DL. Have you thought about using your own photos to make one at Costco or another store that does picture products? tarheelalum and WebmasterMaryJo like this. Has anyone seen one at WoD or any of the other shops? I'll be at the park tomorrow and will look for you. I'll post pics if I see anything that looks worthwhile. All I saw was the one that previous posters have mentioned. Here are a few pics. Only $12.99, though. Thanks for looking, Rob. Yeah, that's the one I'm looking for. Nothing online for it at the moment. Last year, they had them well into January. I could, but I don't want to. I don't have access to the nice closeups and seasonal decor that the park-issued calendar has. I’ll be happy to get one for you next Sunday if you'll send me the cash (PayPal, preferably). Here's the good news: I just spoke with Disney and they told me that they'll ship it directly from the store for only $4.95. I was expecting them to charge double that. So -- it should come out to somewhere around $17 with my AP discount. You can message me directly if you'd like to proceed. I've messaged you. Thank you for offering - you're awesome!